Oldies and Oddities: Where Do Ailerons Come From? During the late 19th and early 20th centuries, Charles Renard, Alphonse Pénaud, and Louis Mouillard either described horizontal control surfaces on the trailing edge of wings or incorporated them into experimental craft. 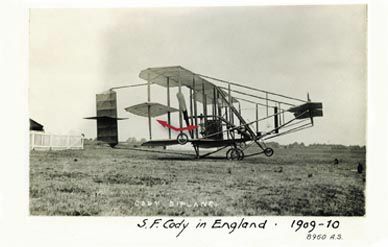 Gibbs-Smith insisted that these were air brakes, however, intended to increase the drag on one wing to control yaw, not roll. The essential idea was to obtain lateral control by varying the lift on either wing. The mechanical means of achieving that end are secondary. In every instance, the courts that heard arguments involving the Wright patent ruled in favor of the brothers, affirming the view that ailerons were among the “other means” of achieving lateral control for which the Wrights deserved legal protection. In December 1906, the editor of L’Aérophile described the pivoting control surfaces mounted in the outer bays of Alberto Santos Dumont’s 14-bis as “gouvernails auxiliares.” In reporting the flight of the Aerial Experiment Association’s White Wing in upstate New York in May 1908, L’Aérophile described the wingtip control surfaces as being “like those of Robert Esnault-Pelterie.” L’Aérophile did not use the word “aileron” until July 1908.